Back on holiday in Perth I found this picturesque little park called Hyde Park that funnily enough I’d never been to before despite previously living in this city for 12 years of my life. It’s quite lovely despite being a minuscule fraction of the size of London’s Hyde Park. Also while I was home I rediscovered these lace shoes in my old bedroom, I dusted off the cobwebs and have now brought them back to London. They’re really nice for the summer here because of the light lace material, although it is a bit of a pain to keep them from getting dirty. 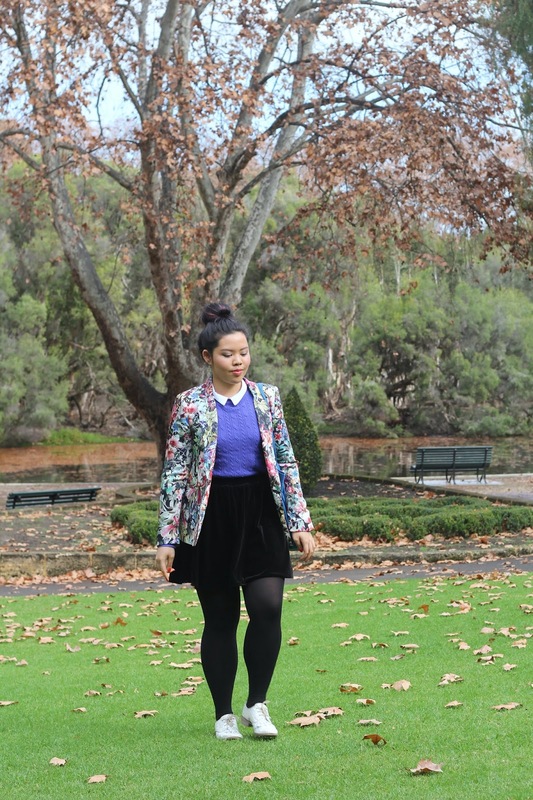 I love the blazer - the colours are gorgeous! such a beautiful outfit <3 your blog is very lovely and interesting. im glad if you visit my blog, too <3 keep in touch! The lovely Hyde Park- that day was fun! I love those shoes of yours. x A.
wonderful pictures. love your blazer so much! stunning!! 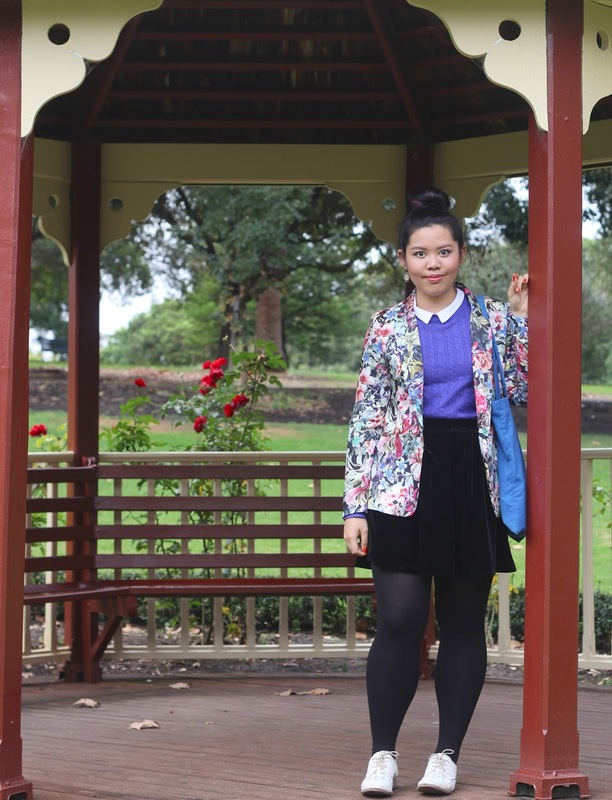 the topical printed blazer is so pretty, love the backdrop as well. Such a cute outfit! love everything about it! How amazing is that jacket! I love how you've styled it. 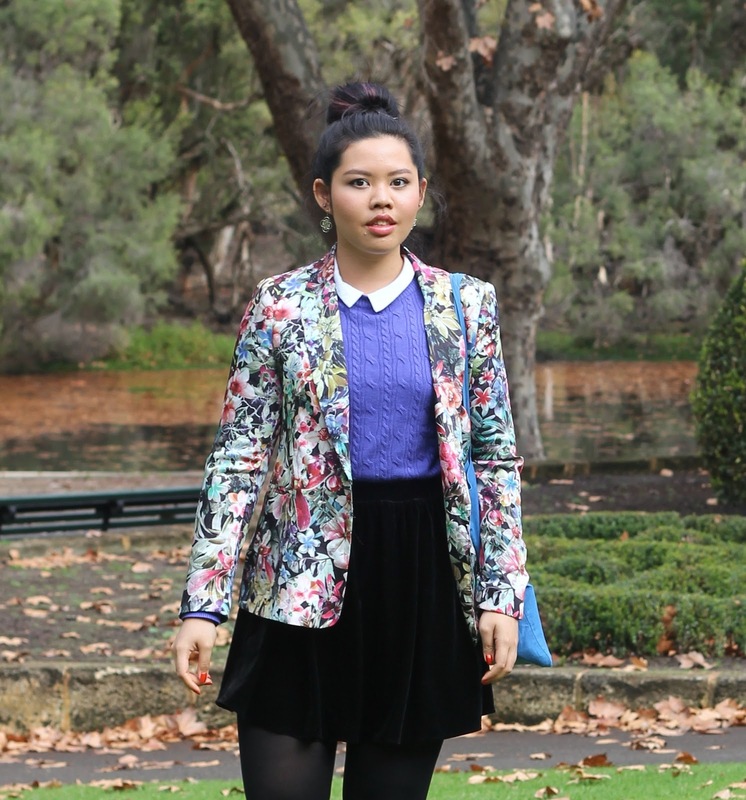 just discovered your blog, and i enjoy reading it :D Woahhh i love the blazer! and you style it really good. you currently studying in london? ah its great! hope i can continue my study there too...hopefully!